Dr. Ed Coe, Professor Emeritus in the Division of Plant Science, will be awarded the Peter H. Raven Lifetime Achievement Award. This award recognizes “a distinguished career of service in science, engineering, or technology”. 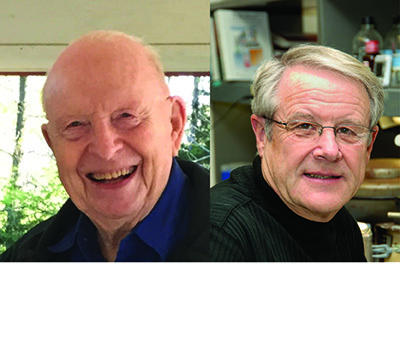 Dr. Douglas D. Randall, Director Emeritus, Interdisciplinary Plant Group and Professor Emeritus in the Department of Biochemistry, will be awarded the Trustees Award. This award “recognizes outstanding contributions in keeping with the Academy of Science mission of promoting the understanding and appreciation of science. Through exceptional leadership and communication, their impact crosses geographic boundaries and enriches private, public, and academic sectors”. The awards will be presented at a ceremony to be held on Thursday, April 4, 2019.